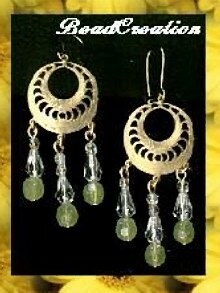 Cute little brass filigree hoops adorned with beautiful clear glass drops and glow in the dark yellow beads. 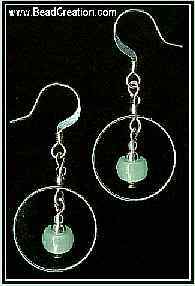 This beautiful pair of glow in the dark earrings will shine day or night. Bottom bead has a brilliant iridescent finish that will turn heads during the day as it reflects a rainbow of color. 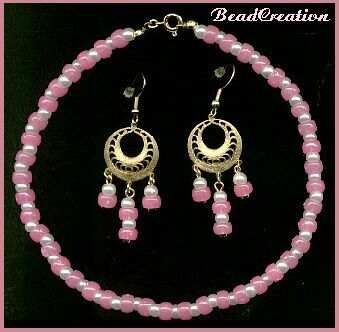 The two larger beads above it will ad further gaze as they glow brightly at night. 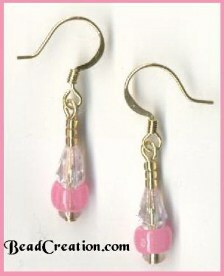 This pair available in pink, blue, green, orange, yellow or white! This pair of earrings are perfect for day wear with cute little pearl accents, and unleash your mysterious side when the lights go out and the earrings start to glow. 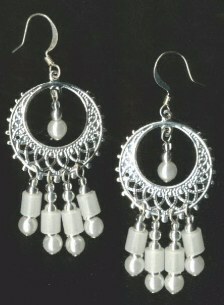 These earrings set a romantic mood. During the day an innocent look of white beads and foe pearls compliment so many outfits! Watch out at night! 4 glowing beads per earring at real excitement. 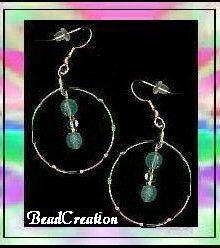 Mini silver tone hoops are super fashionable and go great with so many looks. At night they are small beacons of light that warn there may be more to you than meets the eye. 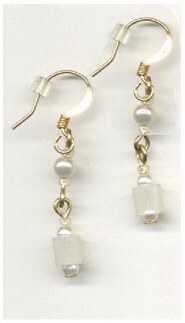 This dainty pair is simple and subtle, yet when it's dark they will glow like bright little twinkles of light. Available in silver only. This pair available in blue or pink! 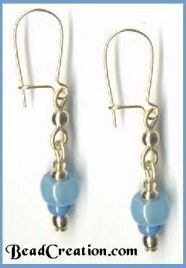 Cute little blue pair of glow in the dark earrings perfect with jeans or pretty blue outfit. Like all of our other glow in the dark jewelry these babies glow when the lights turn down. Green Light Go, Go, Go! 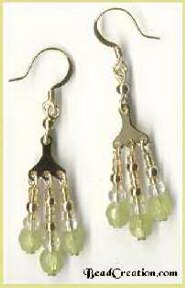 Green Glow in the dark earrings with iridescent beads in the middle. 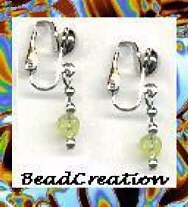 This pair of sunny yellow earrings are great for day wear. Wait until the sun goes down and watch out! All the yellow beads will glow in the dark vibrantly. 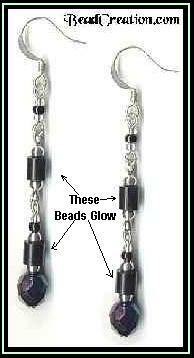 Beautiful glow in the dark beads in blue hues, mixed with clear iridescent pearls.